DAY Trading, is this a risky way to trade or a strategy that will save your bacon when volatility is up in the market? Day trading became prevalent and available to the retail trader when the tech boom was in full swing in the 1990s.Some brokerages opened their doors to a room with computer terminals where customers could come in with cash and trade all day as long as they were totally out of the market by close. The regulators (FINRA) saw this as a risky pattern and quickly implemented some rules. The day–trading margin rule applies to day trading in any security, including options. 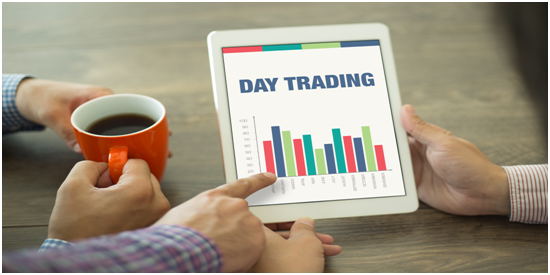 You will be considered a pattern day trader if you trade four or more times in five business days and your day–trading activities are greater than six percent of your total trading activity for that same five-day period. If you reside in the US, one of the most important rules concerns whether you fall into the category of a ‘pattern day trader.’ These rules and stipulations are created by the Financial Industry Regulation Authority (FINRA) and are applicable to all pattern day traders in the US who hold a margin account. Day trading is also known as Scalping. Scalping is better known in the futures markets and Forex markets. Learning to enter properly, manage the trade and understanding your targets can be quite useful as a strategy during volatile markets.